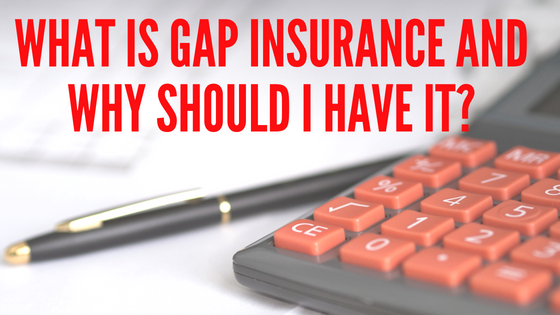 What is GAP Insurance and Why Should I Have It? Nothing exceeds the excitement you feel when you purchase your new car, truck, or SUV. You imagine the trips you’ll take, the fun you’ll have and what the neighbors will think when you pull into your driveway. The last thing you want to think about is what will happen if your new vehicle is stolen or damaged in an accident. Unfortunately, these unpleasant realities occur far too often. Which is why you need to understand what’s at stake should your vehicle be stolen and not recovered or totaled after a collision. And that understanding could potentially save you thousands of dollars. This stems from the fact that there’s a GAP in your insurance coverage. Here’s how: When your car, truck, or SUV is stolen and not recovered or involved in an accident and declared a total loss most auto insurance companies will pay you for your loss at an amount that could be less than what you owe on your auto loan or lease. That’s the GAP, and in the industry, it’s referred to as negative equity. And it’s the reason you should seriously consider GAP insurance so that you’re not paying off a vehicle you no longer own. Even after 12 months of payments on your lease or car payments you’ve likely paid you could still owe up to 80- or even 90-percent of the purchase price (with zero down plus taxes and fees). Unfortunately, your insurance company will likely value your prized vehicle as a one-year-old used car, and since the greatest depreciation of a new vehicle occurs in the first year, you could receive a settlement of 75% or even less of the original purchase price. So even a 10-percent difference between what you owe on the vehicle versus what the insurance company declares can amount to $3500 or more. And the only place that money is going to come from is out of your own pocket. That is unless you select to purchase optional GAP insurance. GAP insurance covers the difference between the value of your stolen or totaled vehicle assigned by your insurance company and what you currently owe. GAP insurance eliminates the financial risk of owing potentially thousands of dollars to your bank, credit union, or other lenders in these situations. In the past GAP insurance was usually recommended, and sometimes required, for leased vehicles. However, there’s no limitation of how you finance the vehicle in order to add GAP insurance to your coverage. In fact, with the average new car loan term at 67 months and nearly one in four new loans with terms between 73 and 84 months, there is even a longer period when you’re at risk of being “upside down” (owing more than your vehicle is worth). GAP insurance coverage is quite versatile, but be aware that it only covers damage to your vehicle, no other property or bodily injuries resulting from an accident. GAP insurance also does not cover issues related to mechanical malfunctions. If you’re concerned about coverage for mechanical repairs, there are extended warranty options that can be purchased with your vehicle. So as you’re considering the purchase of your next car, truck, or SUV, a smart move would be to leave a little room in your budget for GAP insurance – you’ll be surprised how little it costs given both the coverage and peace-of-mind that it offers. To learn more, talk to us and we’ll guide you through all your financing options, including GAP insurance, so you can make the best decision for you and your family.